Are you looking for heating, cooling services or AC Repair in Odessa? Almost all of us depend on our air conditioner or heater on a regular basis. These important units can keep an indoor environment comfortable – but when they break down, it can be very frustrating. 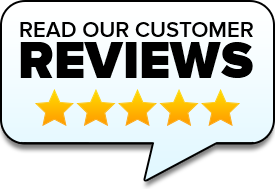 Air Zone Air Conditioning & Heating is a family-owned and operated company with over 30 years of experience providing affordable AC services to the residents of Odessa. Our company believes in combining up-to-date training with a customer-first mentality. Our skilled team members are here to help you 24-hours a day. When Should You Get AC Repair? If your air conditioner stops working properly, your home or business can become very uncomfortable quickly. However, many people are unaware of the signs to look for to tell if your A/C unit may need repairs soon. If any one of these is true about your air conditioner, it may need repairs in the near future. The same can be said about your heater. Heaters have similar parts to air conditioners, and this means they need regular servicing as well. When it comes to A/C repairs and heating services, our company can handle any type of need you may have. From large-scale fixes to simple maintenance services, our technicians are here to help. We have over 30 years of experience and all the licensing needed to give you the right solution for your need. Our company provides repairs and services for heating/cooling systems in Odessa. Even when you experience a problem outside of normal business hours, we can help. Our company offers 24-hour emergency service so you’ll never have to tolerate a broken heater or air conditioner. Whether you need heating or AC repair in Odessa, you need technicians who are experts in their field. Don’t settle for less – get the top-quality service you deserve! 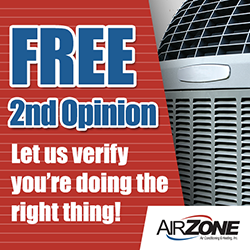 To find out more about A/C repairs and heating services, contact Air Zone Air Conditioning & Heating today!